Before this year’s election, political crisis ruled Madagascar for the last five years as a powerless post-coup government failed to halt rampant corruption. The country dropped four points from 32 in 2012 to 28 in 2014 in our Corruption Perceptions Index. In our interview with Florent Andriamahavonjy, Executive Director of Transparency International – Initiative Madagascar (TI-IM), he describes the period and how the chapter’s legal advice clinic helped stem the rise of corruption. To see Florent at work, spreading the word on how to combat the abuse of power and bribery, visit our online documentary African Voices Against Corruption. In 2010 TI-IM set up an Advocacy and Legal Advice Centre (ALAC) with the aim of providing free support to witnesses and victims of corruption. How did the centre function during this tumultuous period? Between 2009 and the beginning of 2014 it was really a very difficult situation. The interim government did not have any legitimate power and we did not have any elected officials: the President, MPs, senators, even the mayors were not elected. So abuse of power and corruption were on the rise. As a consequence, everything in the administration deteriorated and in some areas, for example, people got used to bringing a present along when they were requesting a public service, or simply paying for services that ought to be free. Our ALAC began its work in 2010 in this difficult political period. We could not rely on the central government so we made a choice: we started working deliberately with the decentralized local government and that is why we collaborate extensively with municipalities today. We wanted to make sure that our free legal assistance would be available to disadvantaged groups. 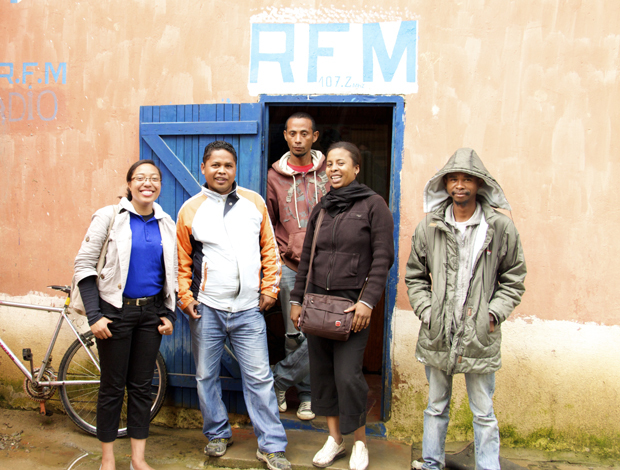 We started with the population in the slums of Antananarivo [Madagascar’s capital] and later we went to rural areas, especially remote areas, to raise awareness about the different forms of corruption, its impact and the harm it does. We also spoke about how important it is to report corruption through the ALAC. Find out more about our Advocacy and Legal Advice Centres in Africa by watching the trailer for our documentary African Voices Against Corruption. How does the ALAC work? We have several options: first there’s the free telephone hotline that people can call to report corruption. But the problem was that not everyone in Madagascar uses the same mobile network. To overcome this, we set up what we call the mobile ALAC. This consists of a team of lawyers that travel to where people live so they do not have to come all the way to our offices. Madagascar is a large country with an area of ​​almost 600,000 square kilometres. The mobile ALAC allows us to reach people in isolated rural and remote areas. The second innovation is the live ALAC – live because we work with a local radio station. We prepare a one hour radio programme with our legal team on a particular theme or on the fight against corruption in general. So listeners can receive advice or report cases of abuse of power or abuse of trust, or corruption. The advantage of the live ALAC is that if one person asks a question, 100 or 200 listeners benefit from hearing the answer. When it comes to complaints of abuse of power and of corruption, what we have found is that the live ALAC has a positive impact on the local authorities in the area. 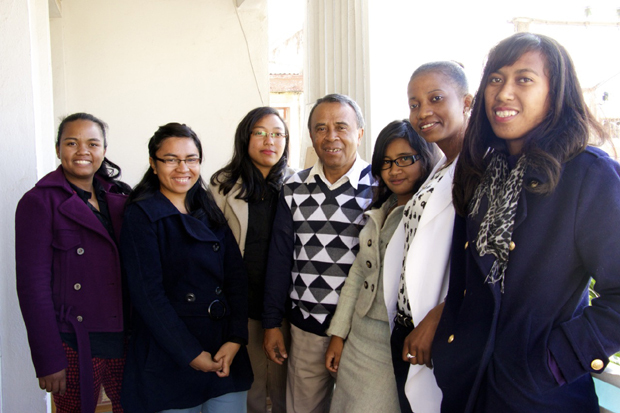 How has the ALAC fought corruption in Madagascar over the past five years? Madagascar overcame this difficult political situation, but corruption is widespread because of a loss of public confidence in the administration. Nowadays when we organise awareness raising events we no longer directly say that we fight against corruption, instead we say we are here to help you know your rights. Once you are aware of your rights, if you are confronted with the abuse of power or corruption, you can say that it is not fair or legal. If there is one person, two, three, four, five, a thousand people who claim their rights and speak out against injustice then I am sure that we can make a difference.